Time to get rolling on the nursery. 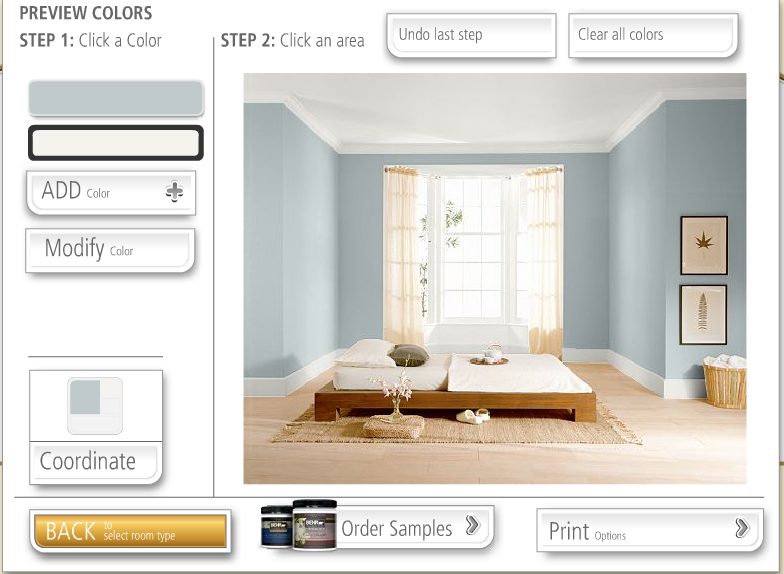 Ah, the dreaded task of picking out paint colors. Have you guys ever taken a gander at any of the paint color visualization programs out there? I use the one from Behr occasionally. Haven't had much luck uploading my own photo (and then 'painting' in my colors) but their database of existing rooms works decently well. Did you guys paint the ceilings when changing the paint colors of the walls? I'm leaning towards leaving the ceiling white/cream to make the room a bit brighter. We left the ceiling white. 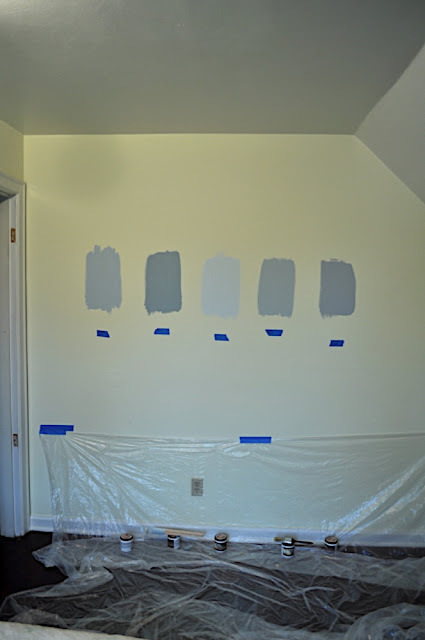 If I were you I wouldn't choose a gray for the ceiling though (if you do the gray walls)...you don't want to end up feeling like you're in a cave, ya know? Excited that you're getting started on the room! 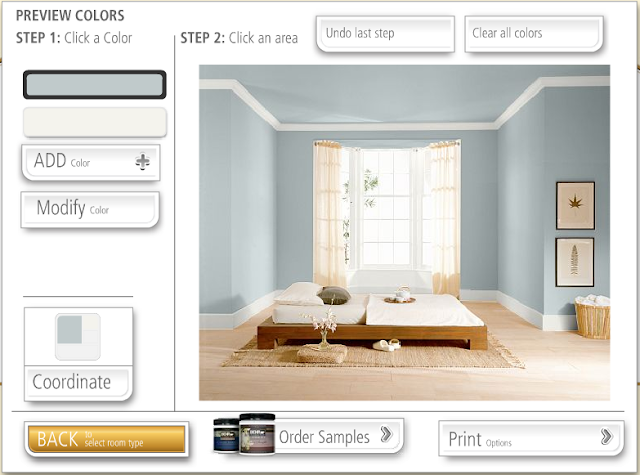 For you to actually tell what a paint color to look like on a computer you would need a very fancy computer screen that few people can afford. Don't pick blues with greys because it will be depressing when it is cloudy outside. Paint your ceiling a white or light yellow to keep it brighter in there. Sam's room is a warm yellow and a mellow orange. I know it sounds crazy but it makes it warm and cozy on a wet, cold winter night. While checking out paint colors, I looked in the sections that said "natural" or some where even in a "sea" area of the paint colors. You are welcome to come by and see all the various colors we ended up with. Lucia has a blue room that was called "july sky" it is very summery. We got all our paint from Lowes too.